The main challenge in Bubble Trouble Roku was to shoot each and every bubble as a bubble when shot splits into smaller bubbles. To complete the level, all the bubbles should be destroyed. To design the game board which would consist of the shooter, timing bar and bubbles. Also, to handle the left, right and ok click controls. To implement the multiple bubble poster nodes during the game play and to set the circular moving animation to it. The score to be calculated should be based on two criterion, the number of balls destroyed and the amount of time saved from the total allocated time. Initially we designed the game board having shooter, timing bar and ball using the scene graph’s different renderable nodes. We used different scene graph roSGNode to create the multiple poster and animation nodes during the game play and set the circular moving animation of bubbles. Implemented logic in brightscript to calculate a position to move the bubble poster nodes in a circular pattern. Implemented logic in BrightScript for calculating the number of balls destroyed and remaining time of the total allocated time. Successfully designed the game board and handled the left, right, and ok click control to move the shooter and to shoot the bubble. Completed the smooth animation for moving the bubble in a circular pattern using multiple poster and the animation nodes created during the game play. 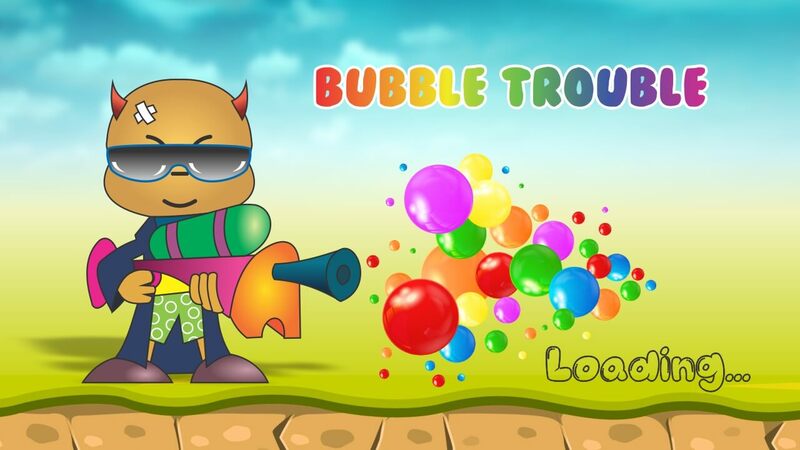 Bubble Trouble lovers finally found their favorite game at the Roku Channel Store.